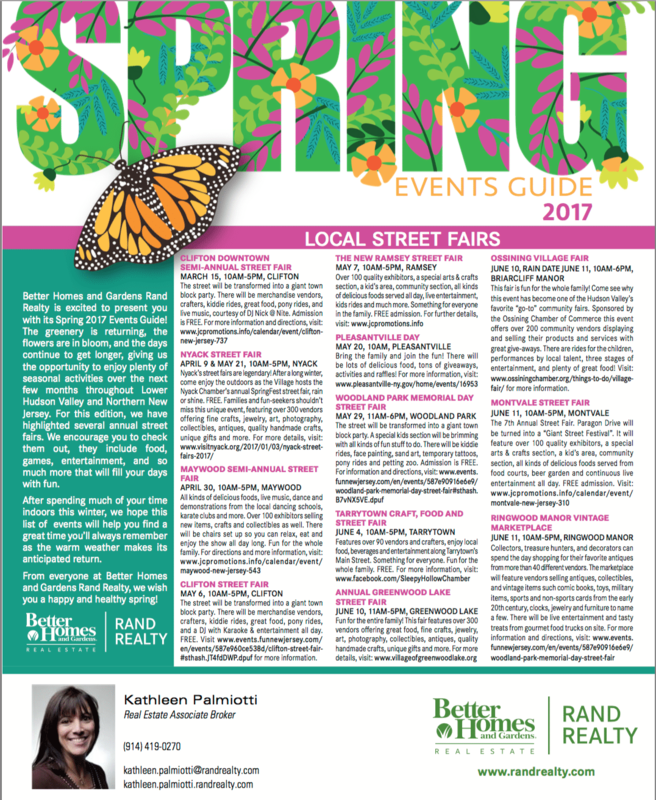 The Better Homes & Gardens Rand Realty publication that highlights Spring 2017 Events is now available! This guide provides information on various types of events that are planned for not only the Orange, Putnam, Rockland and Westchester counties in New York, but also northern New Jersey. If you click on the below image, you will be able to review the entire guide. Happy Planning!